Dr. Douglas E. Brown, Pastor/Teacher is the modest, yet powerfully anointed, Pastor of the Great Commission Baptist Church where he began his pastorate journey, January 1993. He began his preaching ministry at the Greater Mt. Tabor Missionary Baptist Church in Fort Worth, Texas, April of 1990 under his father in the ministry, Rev. E.L. Bowman. ​As Pastor, God has blessed Dr. Brown to be a blessing to the Great Commission Baptist Church where the church has experienced tremendous growth – from 53 members in 1993 to presently more than 5000. He humbly admits that while one plants, and another waters, only God, with His totally AWESOME self, can give the increase! Dr. Brown strongly believes in the church’s vision statement: “Building a ministry through the Power, Principles and Promises of God’s Word; to Reach the Sinner, Teach the Saint and Strengthen the Family.” (Ephesians 5:22-6:4 and Matthew 28:19-20). Dr. Brown has attended Tyndale Theological Seminary and Southwestern Baptist Theological Seminary to better equip himself to teach and preach our Lord’s uncompromising gospel. Along with his diligent work within the walls of the church, he is also a servant in the community and within the city. He is formerly a Deputy Sheriff for the Tarrant County Sheriff’s Department where he worked for more than 11 years as well as served as Reserve Deputy Constable. Pastor Brown is also a proud United States Army Veteran. Sunday, August 29, 2010, Pastor Brown received an Honorary Doctorate of Divinity from Saint Thomas Christian College. Dr. Brown has received many accolades of accomplishments for the work he continues to do throughout the City of Fort Worth. He has been recognized by the Southwest Fort Worth Chapter of the National Women of Achievement as a Trail Blazer for Outstanding Dedication and Service, recognized by the Fort Worth Alumnae Chapter of Delta Sigma Theta Sorority, Inc. as a “Man of Vision Daring to Venture” and by his proud Alma Mata, Paul Laurence Dunbar High School as a Distinguished Graduate. 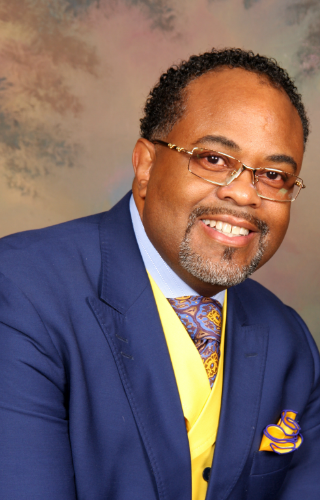 Dr. Brown is an honored member of the Congressional Youth Leadership Council and an Advisory Member of the Black Church Studies for the Brite Divinity School. He has also had the honor of preaching the Dallas Cowboys chapel service as well as delivering the invocation for the Texas State Senate. Dr. Brown is the son of the late Rev. Ulysses Brown, Sr. and Mrs. Elizabeth Brown. He has been blessed in marriage to LaKedra L. Brown and is the father of three children Phairen Renee’ Yaites (Courtney), Kaitlyn Elizabeth (“Katie-Liz”), and Tre’Jon Devon (Tre) and a granddaughter, Nyla and a grandson, Cobi.